If you’re thinking about getting a divorce, it naturally follows that at some point, you’re going to want to remarry. The logical question, then, is how long do you have to wait? Is it something you can do immediately, or are there state-mandated waiting periods? The short answer is that it depends. It varies from one state to the next. 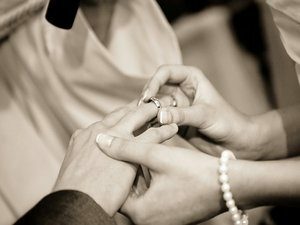 In the state of California, there are two relevant conditions that must be met before you can remarry. The first and most obvious of these is that your divorce must be finalized before you can marry someone else. Your divorce isn’t finalized until the you go before the judge and get a formal dissolution. Until and unless that happens, you’re still married, and obviously can’t marry again. The second condition is one that not as many people know about. The State of California has a mandatory six month waiting period. In the overwhelming majority of cases, your divorce isn’t going to be finalized any faster than six months anyway, but even if it were, you’d still need to wait until the end of the six-month waiting period. Again, this varies (sometimes widely) from one state to the next, so if you live somewhere other than California, you’ll definitely want to check with your attorney before starting a new relationship, and definitely before marrying again. Divorce is never easy, but with it comes the prospect of starting over, finding a new life partner, and the love you thought you’d found when you got married the first time. More than anything, you want to make sure you do it right, for yourself and for the person you’ve developed a relationship with. Part of that is, by definition, having the patience to wait through whatever timeframe your state of residence has established. What Is The Process To Change My Name After Divorce? Divorce – Stop Fighting And Start Talking 3 Things To Consider About 50/50 Custody What Happens With The Pets In A Divorce?